Fiona Mackrell is a freelance writer based in Melbourne, Australia. Fiona’s writing has appeared in the Australia Council for the Arts online magazine Artery and on artsHub, where she held roles as deputy editor, sub-editor, contributing freelancer and reviewer. 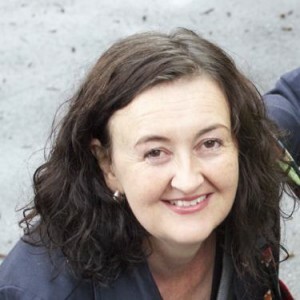 Fiona worked in television production at the ABC for five years on programs such as Dimensions with George Negus and Play School and helped coordinate the ABC’s involvement with the SOBO broadcasting of the Sydney Olympic Games. She has been an office manager, executive assistant, a temp in advertising and media companies in London and Sydney, sandwich hand, receptionist, TV extra, swimming teacher and children’s birthday party leader. She completed the RMIT Professional Writing and Editing course in 2008 and also has a Bachelor of Economics from Monash University. Fiona lives in Melbourne with her husband, children and a budgie.